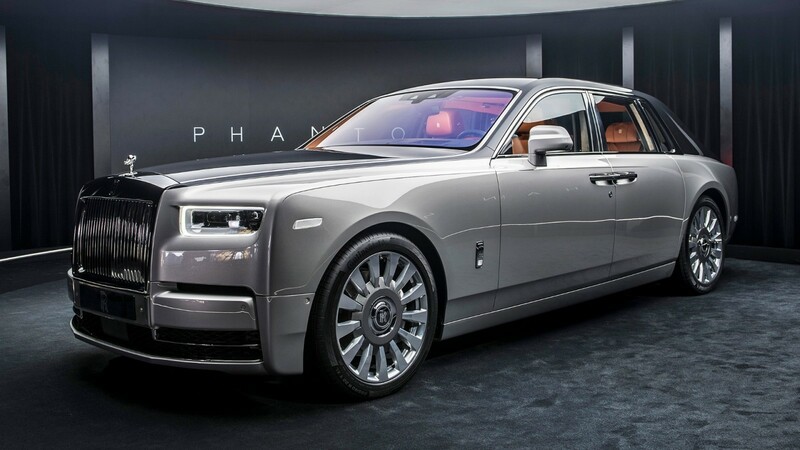 Moves Royce has uncovered another, more private back lodge for its expanded wheelbase Phantom extravagance limousine. 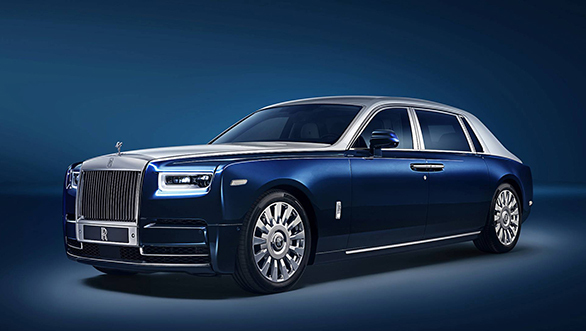 The Rolls-Royce Phantom with this new Privacy Suite has been uncovered at the Chengdu Motor Show. 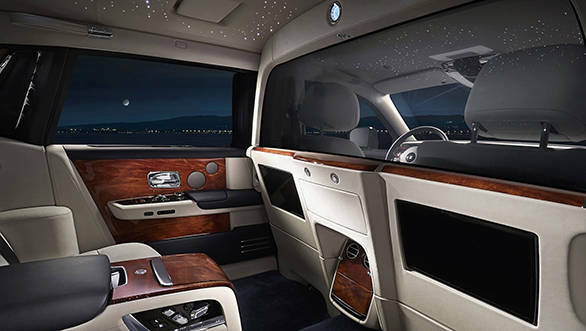 With this, the back compartment is segmented off from the front seats utilizing an electrochromatic glass behind the driver's seat. Travelers can press a catch to turn the glass murky and attract the window drapes to fend off prying eyes for finish security. Notwithstanding visual separation, the security suite likewise removes sound from the back lodge. Communication between the passenger and driver takes place through an intercom system. Passengers can call the driver any time, while if the driver calls the cabin, the passenger has the option of receiving the call or not. 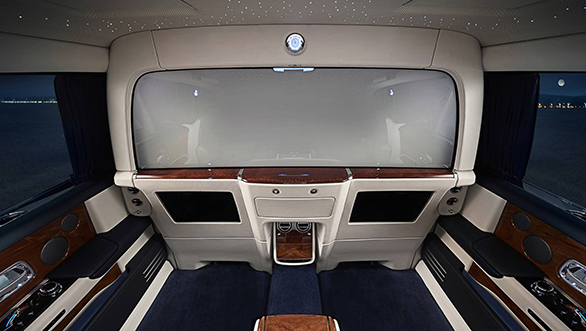 There is also a large hatch to allow for passing of documents and other material to the driver, which can only be controlled from the rear cabin. The Privacy Suite also features a theatre system with two 12-inch monitors that can also be connected to a smartphone.